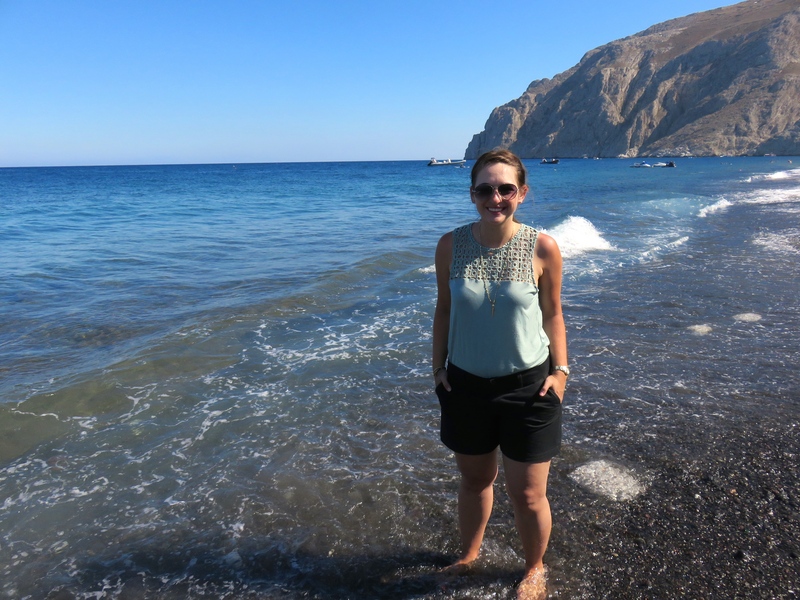 On our second full day on Santorini we decided to venture away from our adorable villa in Finikia and the unbelievably gorgeous streets of Oia to explore what the rest of the island had to offer. Well let me tell you… it had a lot! 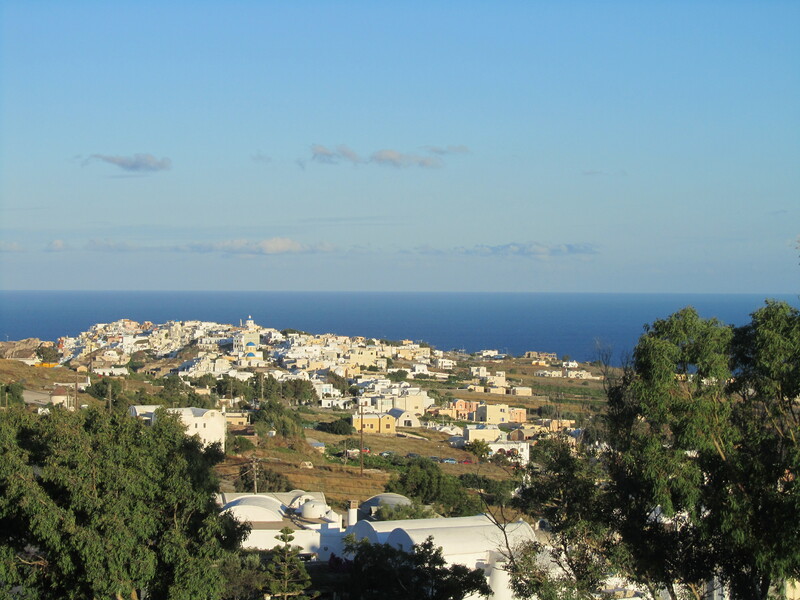 The view from our villa… it was hard to tear ourselves away. 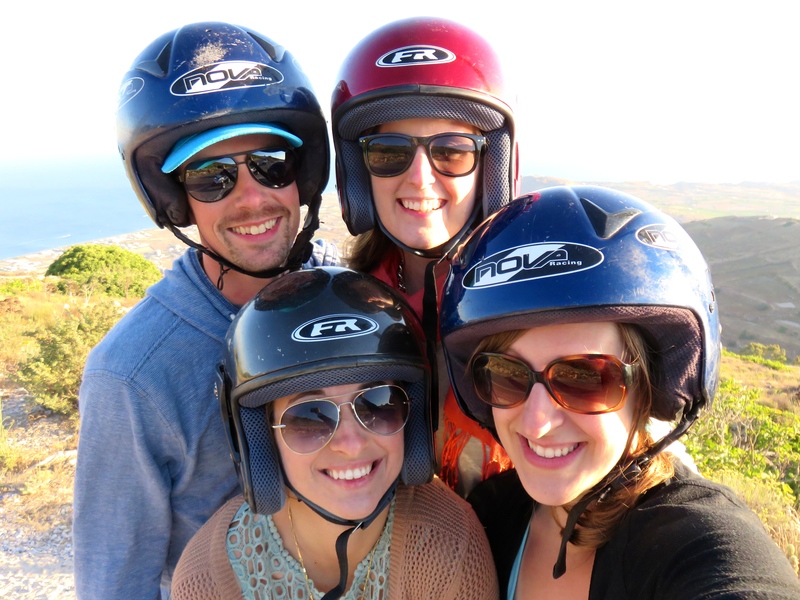 To maximize our freedom (and fun for that matter) we decided to rent two ATVs for four people. 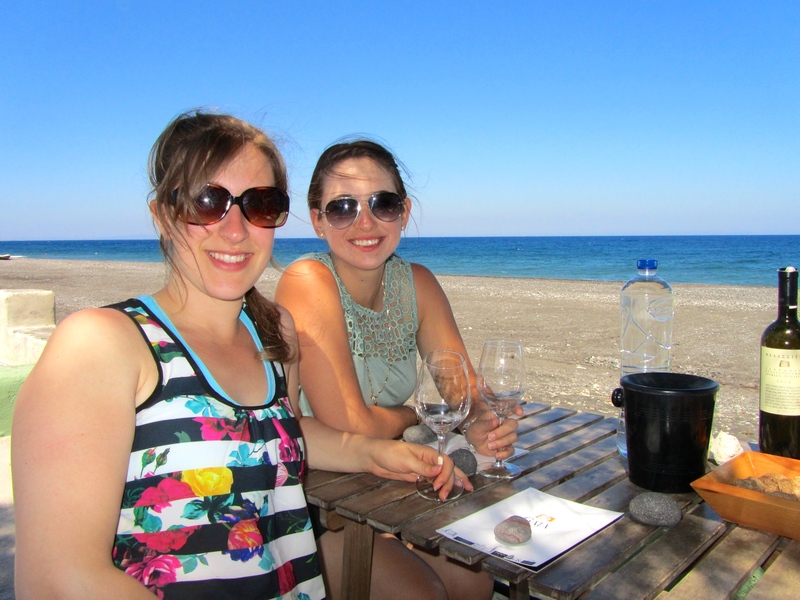 At a rate of €34 for 24 hours – we figured we were getting a pretty good deal. 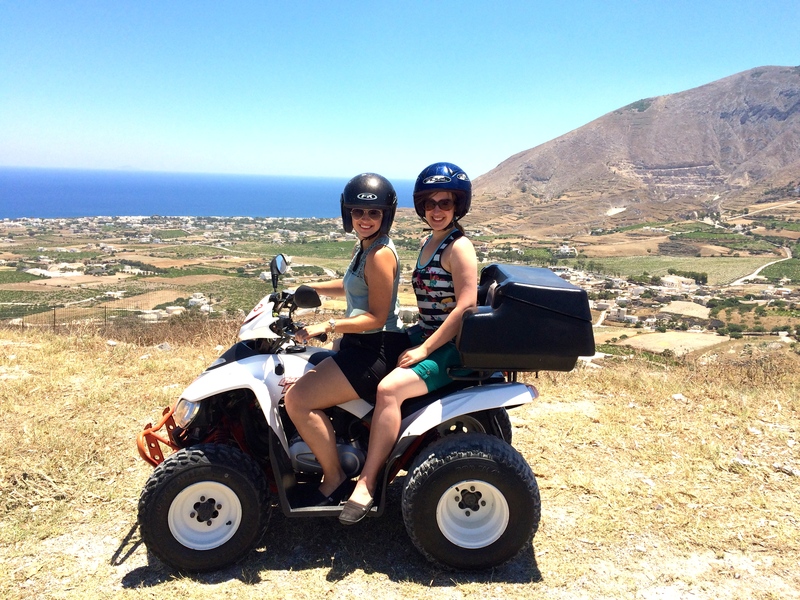 I was super stoked about this whole experience as I’d never driven an ATV before. And the last time I decided to rent a vehicle while traveling was on my wildly successful trip to Maui – another island paradise! Are you sensing a travel theme these days? 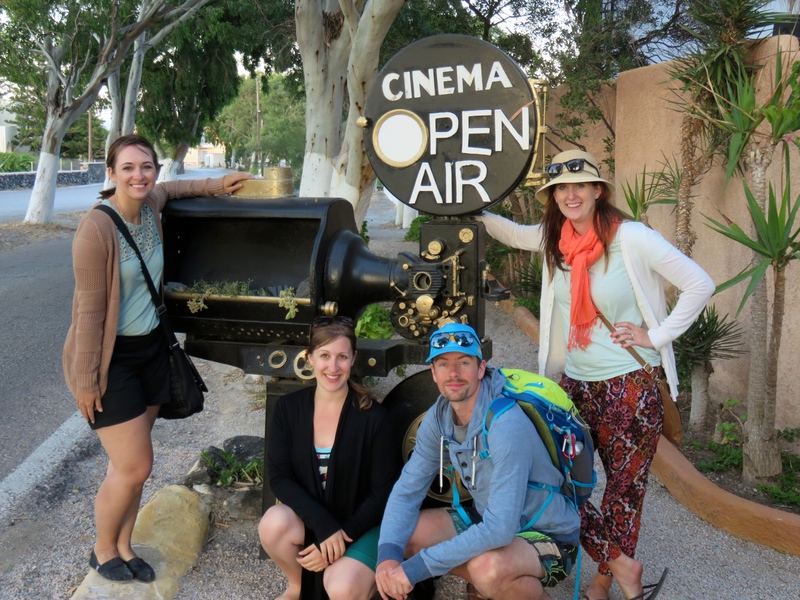 As it turns out, this day was quite possibly one of my favourite travel days of all time! By the time our two ATVs showed up (that’s right… we had them delivered to our door) we were more than ready to hit the streets. I handed over my drivers license and signed my life away before some 14 year old kid showed me how to operate the ATV properly. I even had to go for a test drive with the rental guy for him to assess my abilities. My male friend Caleb did not. Another loss for feminism… but I digress. After a quick pit stop to fill our tanks, we were off. 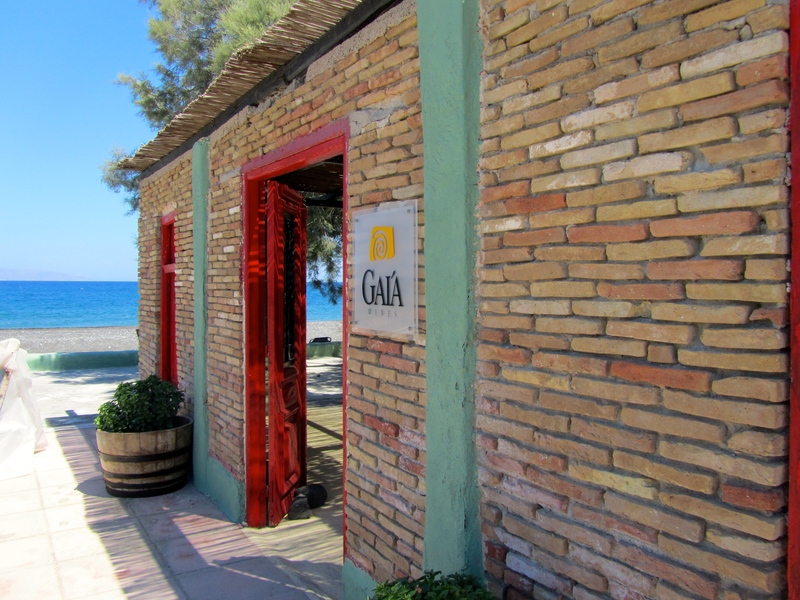 Our first stop was lunch in the centrally located town of Pyrgos. 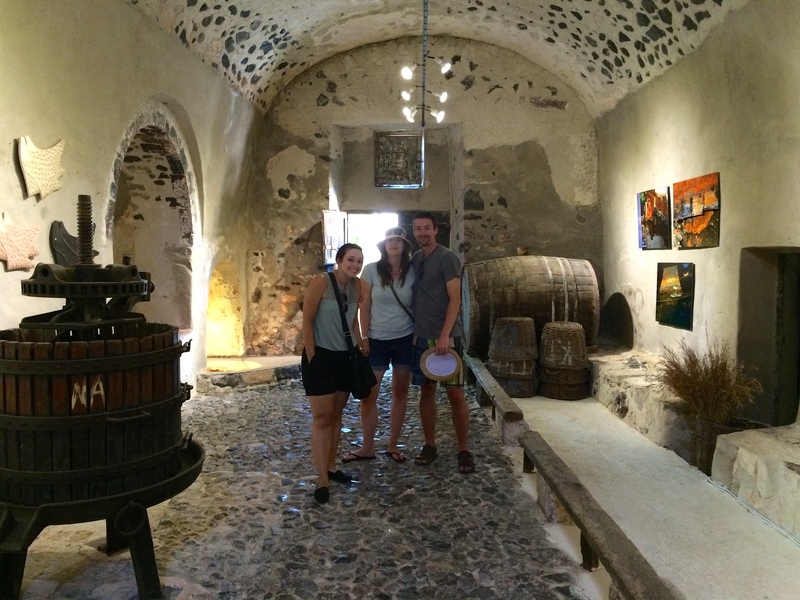 The main draw to this part of the island was the proximity to a plethora of wineries. 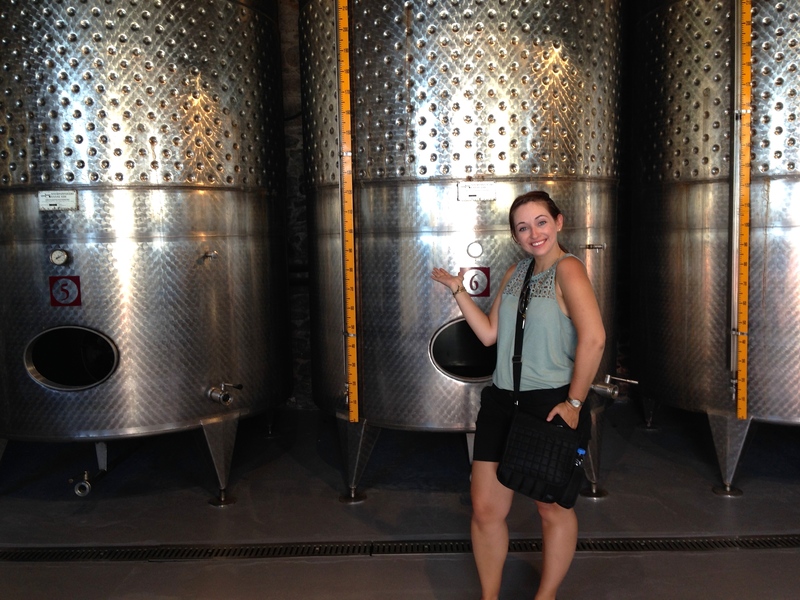 We had trouble finding the first one on my list but ended up stumbling upon a winery recommended to us by the owner of our wine store in Finikia. Are you sensing another travel theme? Art Space was a completely delightful addition to our itinerary. 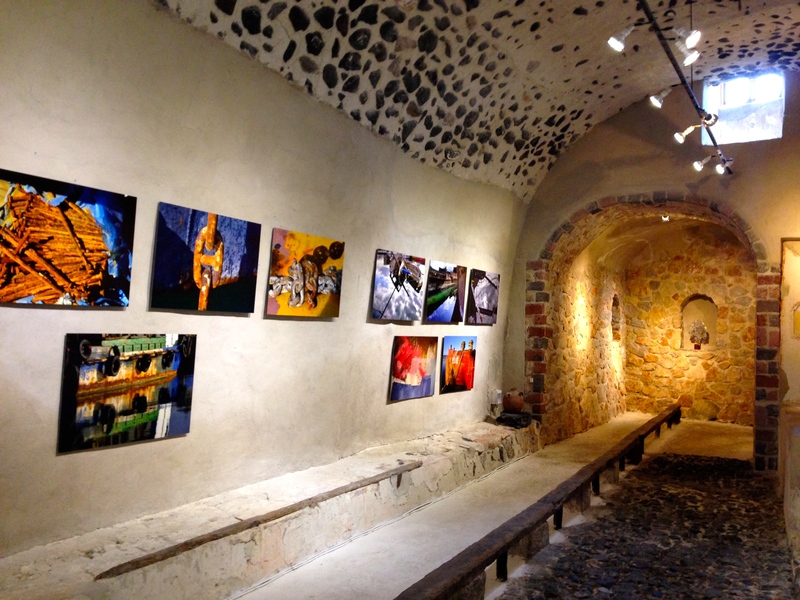 Immediately upon arrival, the owner of this winery turned art gallery started leading us on a tour of the facilities. He spoke in rapid Greeklish with me only comprehending one in every 20 or so words. But he was completely adorable and the space was very cool which more than made up for my lack of understanding. 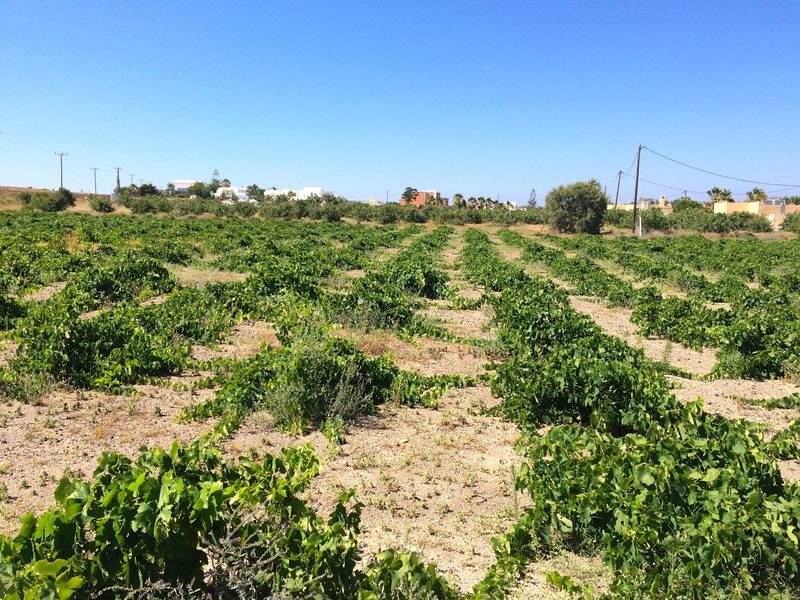 Plus, we concluded our not-so-informational tour with a €5 wine tasting that included various blends of the Assyrtiko grape, the local sweet speciality Vinsanto, Ouzo, and something akin to moonshine at 42% alcohol. 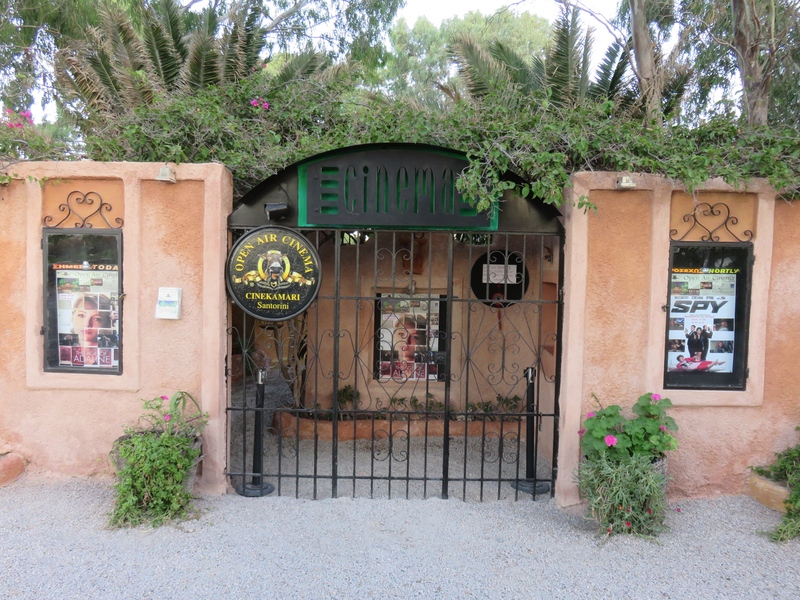 Conveniently located just around the corner was Santorini’s first and only brewery. 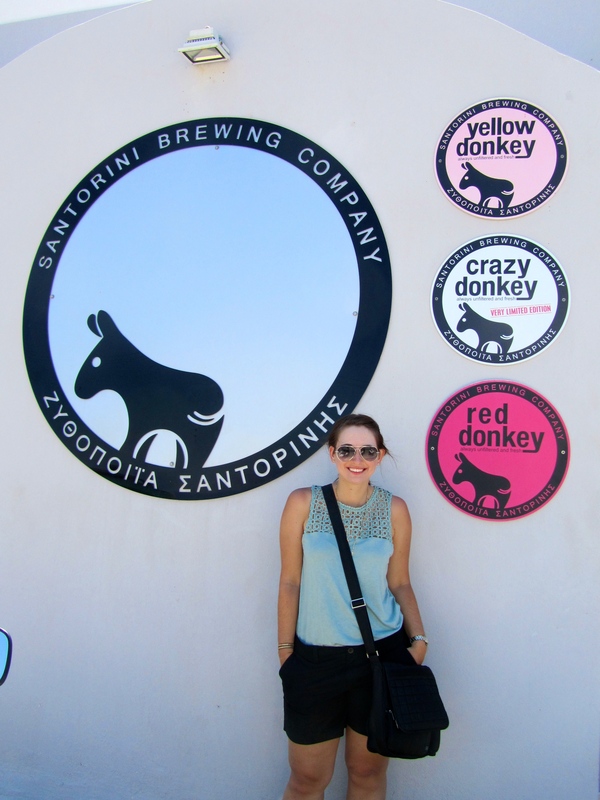 This craft beer obsessed Vancouverite was definitely excited to taste the Greek brews, which were adorably named the Yellow Donkey (lager), Red Donkey (red ale) and Crazy Donkey (IPA). They gave us a free tasting and I have to say that I really enjoyed all three, even the IPA which isn’t normally my drink of choice. I’m definitely rooting for this new business! 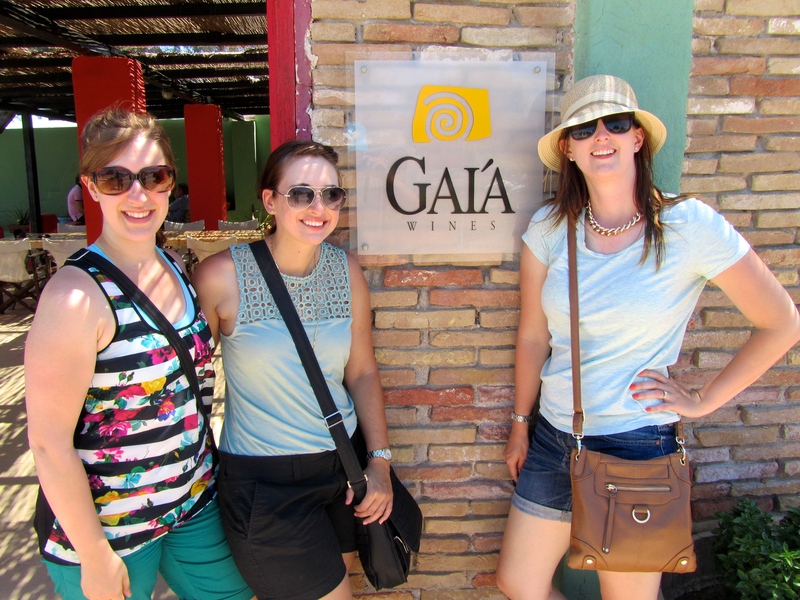 The final stop on our self-guided wine tour was the one I was most looking forward to – Gaia Wines. 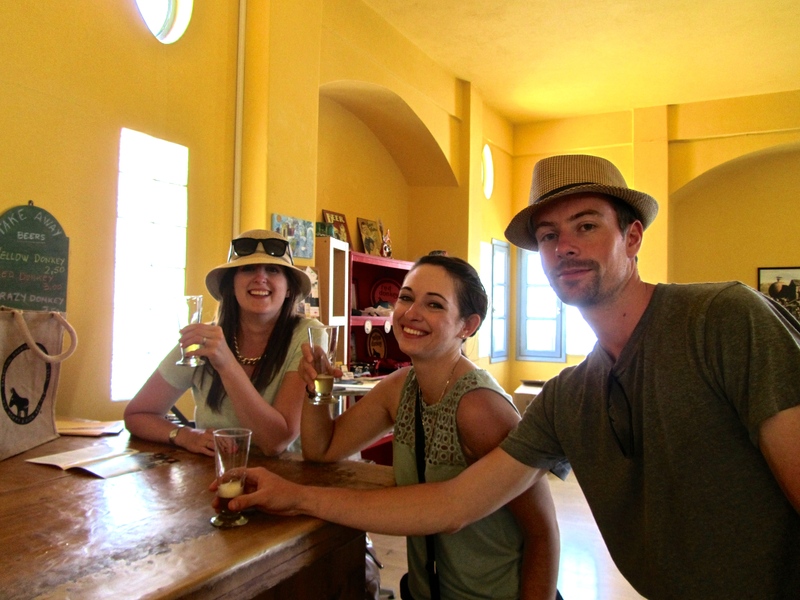 We drove to nearby Kamari where an old tomato factory was converted into a winery. The beach front location didn’t hurt either. 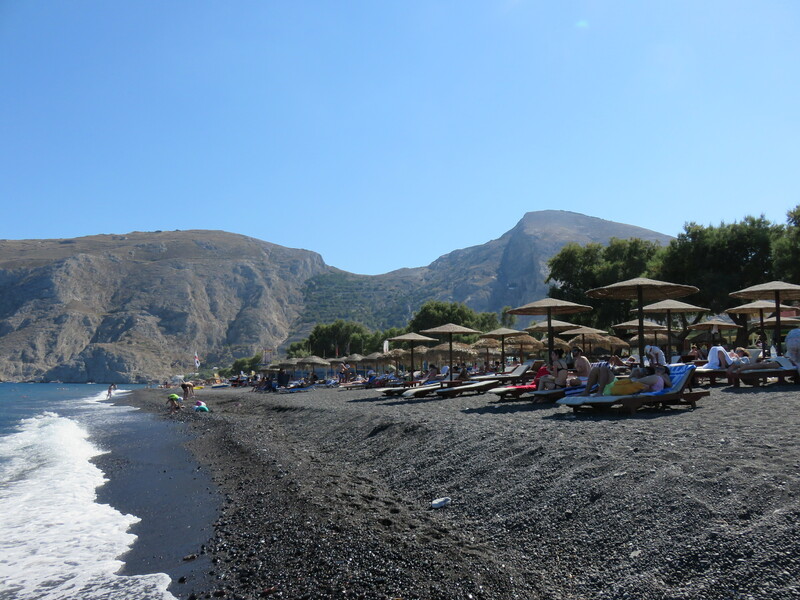 Next up was a frolic in the sea on a black sand beach in Kamari. 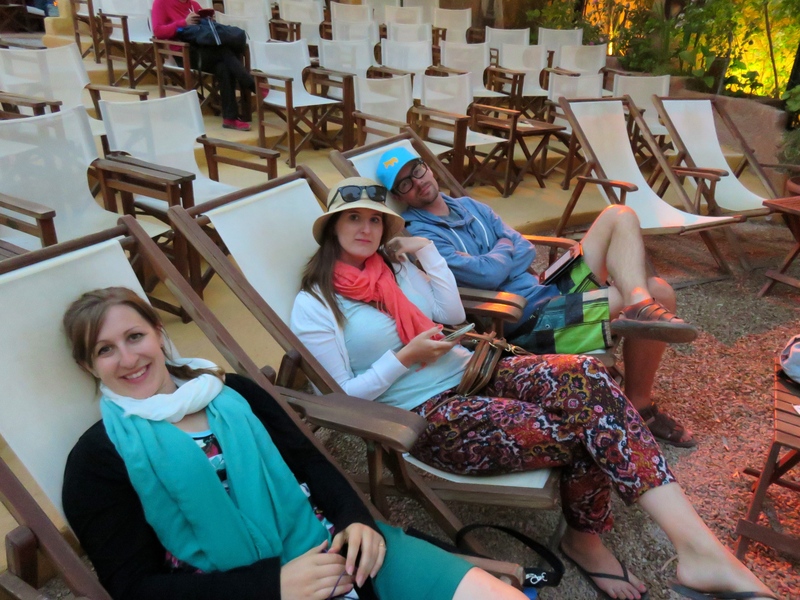 By this time we were completely blissed out and feeling the vacation vibes in a big way. There’s nothing that puts me in a better mood than oceanfront dining and the sound of crashing waves. We had some time to kill before our final activity of the day so we took our ATVs for a drive to a lookout at the top of the island. 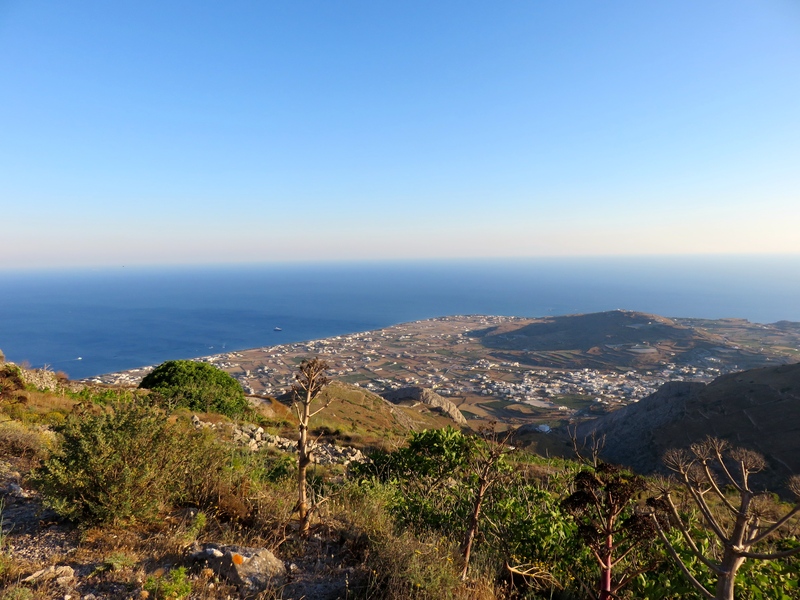 I couldn’t believe how high we were able to drive and the view – stunning! 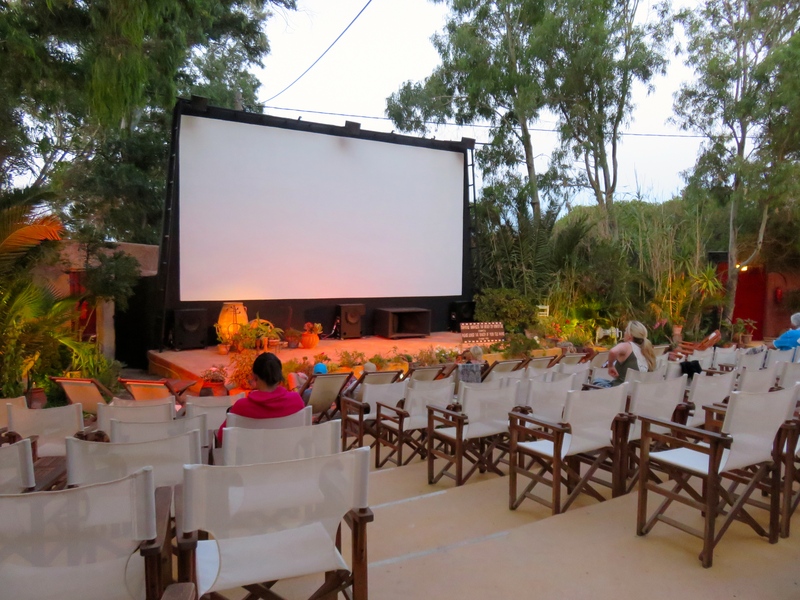 Our final activity of the day was the highly anticipated outdoor movie at Kamari’s famous Open Air Cinema. We got there early to nab front row reclining seats for an English screening of Age of Adaline. The movie wasn’t great but the atmosphere was top notch. 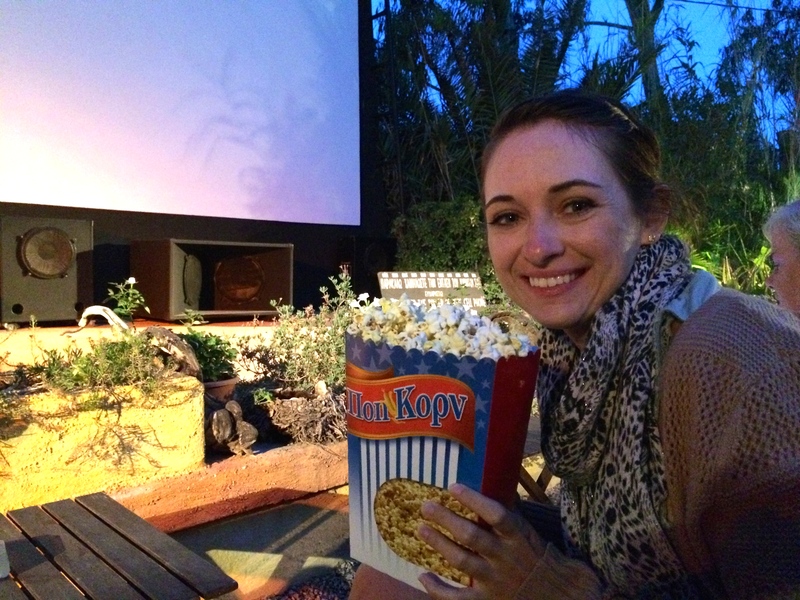 The cinema featured complimentary blankets, a full bar, and reasonably priced snacks. What’s not to love? What a day! Aside from the post-movie ATV incident (it wouldn’t start but then it did) and the adrenaline filled ride home (imagine pitch black switch back roads with 1000 ft cliffside drop-offs) we had a perfect day. It was fun. It was adventurous. It was delicious. 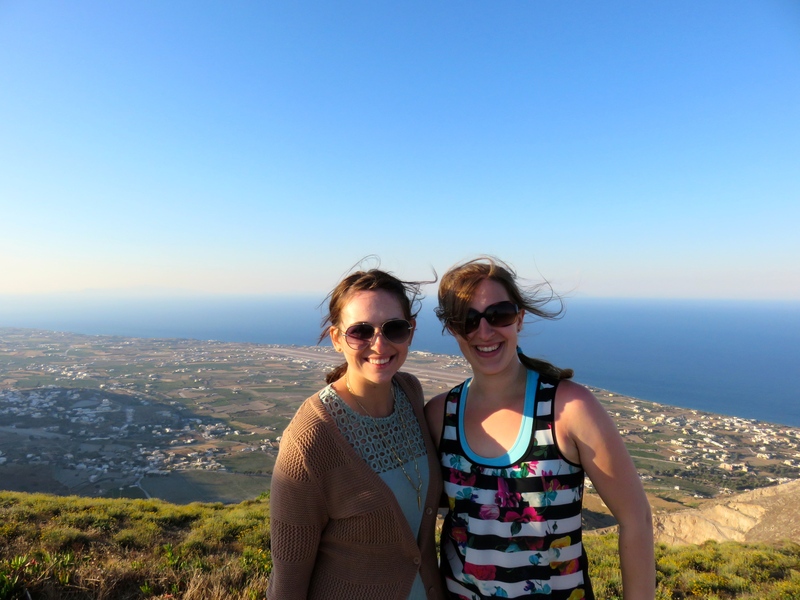 Santorini – you did it again! 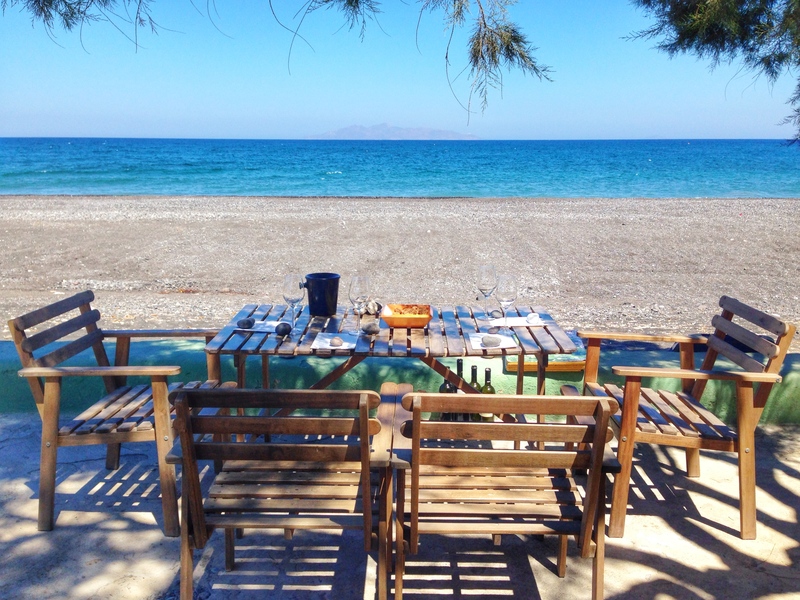 Coming up on the blog… we left Greece just in time to miss the economic meltdown and turned our attention to neighbouring Turkey. Stay tuned for some of the most incredibly weird and wonderful sites that I’ve ever seen!